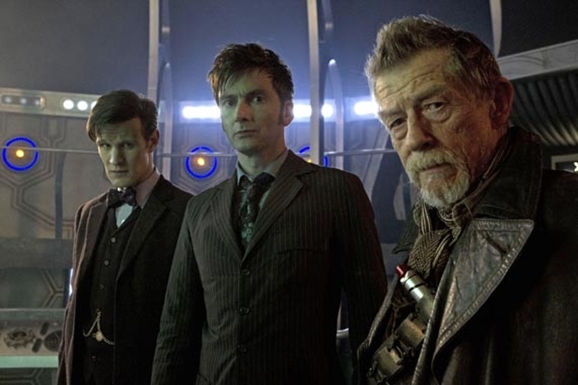 It’s been a good six months since The Day of the Doctor, since John Hurt put his stamp on Doctor Who as the so-called “War Doctor,” the incarnation of the time lord who fought in the Time War, previously unknown and slotted in between Paul McGann’s Eight and Christopher Eccleston’s Nine. It was a clever twist on the Who mythology and set Moffat up for the even bigger changes that came in the Time of the Doctor Christmas special. But we only saw a small sliver of the War Doctor’s life, and based on his initial appearance in the Night of the Doctor webisode, it was a long life even by the Doctor’s standards. It stands to reason there’s a lot of his story left to be told. 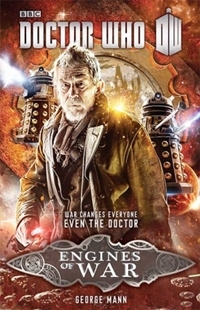 If you were hoping to learn some of those stories, mark your calendar for July, and the release of Doctor Who: Engines of War. 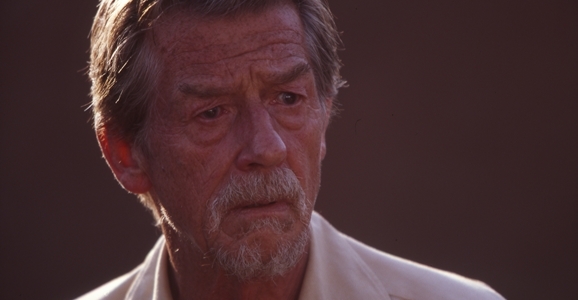 By virtue of playing the ill-fated Kane in Ridley Scott’s 1979 sci-fi/horror classic Alien, actor John Hurt’s place in the sci-fi pantheon was assured. That’s hardly the only genre role he’s taken over the years, appearing in the 1984 movie adaptation of George Orwell’s 1984, Mel Brooks’ Spaceballs (parodying his infamous bit of indigestion in Alien), and in 2005’s V for Vendetta, to name a few. 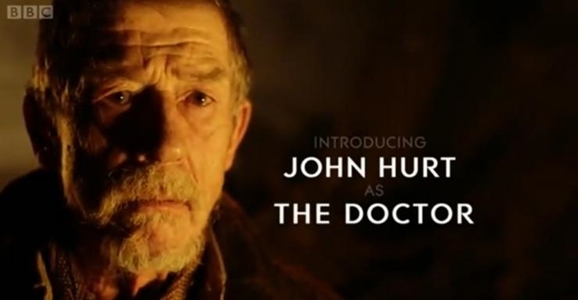 None of those later roles are nearly as iconic as his Alien bit, but last year he finally played a character that could give Kane a run for his money: a previously unknown incarnation of the Doctor — called the War Doctor — who fought in, and decisively ended, the time war. He shared the 50th anniversary spotlight with the past two Doctors, David Tennant and Matt Smith, and in the process created a fascinating and sympathetic bit of lore that made the world of Doctor Who that much richer. Today Hurt celebrates his 74th trip around the sun, and we here at GFR wish him a happy one. We never would have realized how much we wanted to see John Hurt mock David Tennant for saying “timey wimey,” but now we can’t imagine our lives without it. Here’s to you, sir, just stay clear of any weird-looking eggs. We’re a little over a month away from the premiere of the much-anticipated Doctor Who 50th anniversary special The Name of the Doctor and the BBC has seen fit to share the first official cast pics from the program. There are no big surprises in the pictures unless you’ve somehow avoided the casting news or haven’t seen the end of season seven, but our discussion does get specific and spoilery below them, so mind the big orange spoiler warning! Finally! After months of the BBC saying a whole lot of nothing about whether any of the former Doctors or companions would be returning for the show’s 50th anniversary celebrations, the BBC has finally opened the gates just a bit. David Tennant and Billie Piper, who played the Tenth Doctor and his companion Rose Tyler, respectively, will return to reprise their characters as part of the anniversary blowout. With Rose returning, dare we hope that Christopher Eccleston might come back as well? After all, he was the one who brought Rose into the Doctor’s crazy world in the first place.